When is an Ultrabook not an Ultrabook? 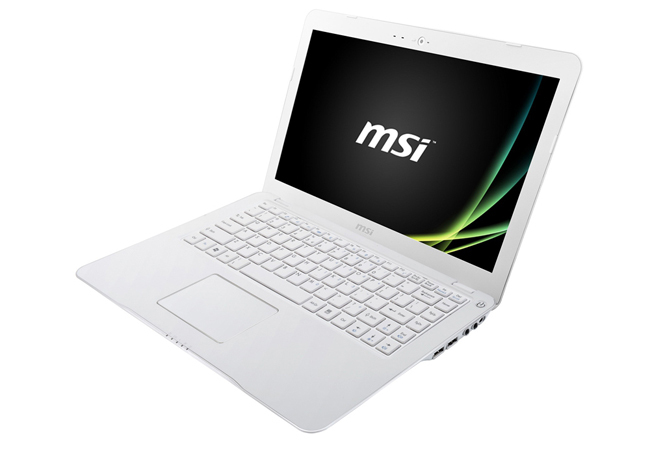 With a slim profile, a 13-inch display, and an Intel Core i3 Ivy Bridge processor, the just-launched MSI S30 looks a whole lot like an Ultrabook. Though pricing hasn’t been announced yet, its likely to be cheaper than many similarly-sized and equipped notebooks, specifically other Ultrabooks. Here’s the catch: though, according to Liliputing, it seems like the MSI S30 should be an Ultrabook based on its design and specs, it technically doesn’t fall under this category. According to Intel, in order to be called an “Ultrabook,” the notebook must be no more than 0.7 inches thick and must use a solid-state drive for storage. The S30 measures 12.8 x 8.9 x 0.9 inches, making it 0.2 inches too thick to be an Ultrabook. Another strike against the S30 is that it comes standard with a 500GB hard drive, though a 64GB SSD is an option. The 500GB hard drive may be the right solution for users needing a combination of size and storage, plus it’s cheaper than an SSD. The S30 could be just the right solution for someone looking for a thin-and-light notebook who doesn’t want to pay the Ultrabook price premium. In addition to the 500GB hard drive, the MSI S30 features a third-gen Intel Core i3 processor, Intel HD 4000 graphics, a 13.3-inch 1366 x 768 resolution display, Bluetooth 4.0, a 720p HD webcam, a card reader, one USB 3.0 port, one USB 2.0 port, and ports for HDMI, Ethernet, and VGA. All of this is packed into a 3.1-pound package running Windows 8. Pricing hasn’t been announced yet, but that will likely be coming soon. Intel announced a new line of ninth-generation mobile processors that bring eight-core Core i9 processors to laptops. In addition, the company announced a slate of new desktops CPUs that bring the rest of the lineup up to date. Microsoft is running a promotion for the Surface Book 2, taking as much as $400 off the price of the laptop at the Microsoft Store. The promotion applies to select 13.5- or 15-inch configurations of the convertible laptop. A YouTuber filmed himself building and testing a PC in which the computer's hardware was encased in pasta. The result was a computer with a chassis made out of uncooked pasta and hot glue and painted to resemble lasagna. The iPad Pro is now in its third generation, and the 2018 refresh of this premium tablet is, hands down, Apple’s best one yet. It’s on sale right now, too, for a good discount which can let you score one for as little as $675. Want to get Wi-Fi working in your home, but don't know where to start? Here's a quick tutorial outlining the four basic steps needed for most routers. You'll be browsing on your laptop from the couch in no time. Ahead of its new hardware lines launching this summer, AMD will celebrate its 50th anniversary with special editions of its top-tier gaming hardware: the Radeon VII and Ryzen 2700X. Long typing sessions can leave anyone's wrists aching, but if you have one of the best ergonomic keyboards, that doesn't have to be the case. Our list of favorites will support good typing posture while being comfortable to use.